The 11 remaining members of the Trans-Pacific Partnership (TPP)* recently announced plans to move forward with a modified trade agreement. U.S. Meat Exporter Federation (USMEF) Economist Erin Borror explains that if the agreement, now known as the Comprehensive and Progressive Agreement for Trans-Pacific Partnership (CPTPP), is implemented without the United States as a participant, it will create significant tariff rate advantages for competitors of U.S. beef and pork. The U.S. has free trade agreements in place with several CPTPP countries, but the major exceptions are Japan and Vietnam. 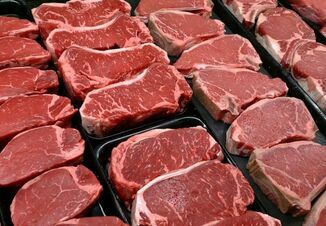 Borror notes that Australia, Mexico and Chile already have economic partnership agreements with Japan, but the CPTPP would provide even more tariff relief for beef imported from these countries, and would lower tariff rates on Japan’s imports of Canadian and New Zealand beef. Japan’s beef import safeguards, which are administered on a quarterly basis for countries that do not have trade agreements with Japan, would shift to annual safeguards for beef imports from CPTPP countries, making them less likely to be triggered. 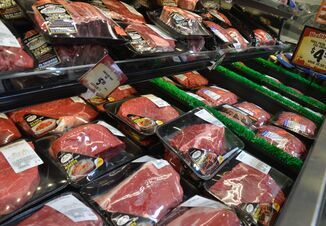 Under Japan’s frozen beef safeguard, the tariff rate on U.S., Canadian and New Zealand beef was recently increased from 38.5 percent to 50 percent, where it will remain through March 31, 2018. CPTPP would provide tariff relief for Canadian pork – the United States’ largest competitor in Japan’s imported chilled pork market. Pork from Mexico and Chile would also make market access beyond their current economic partnership agreements with Japan. 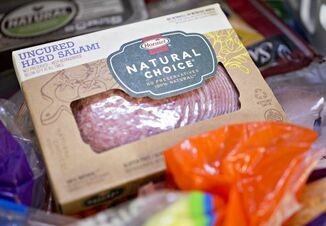 Perhaps the largest breakthrough in the CPTPP’s pork provisions is Japan’s gradual elimination of tariffs on processed pork products – something Japan has never previously included in a trade agreement. Borror adds that while the European Union is not included in CPTPP, the EU and Japan are expected to finalize an economic partnership agreement in the next few months, which includes similar terms. This would leave the United States as the only major pork supplier to Japan without a trade agreement in place. *The full list of CPTPP participants is: Australia, Brunei Darussalam, Canada, Chile, Japan, Malaysia, Mexico, New Zealand, Peru, Singapore and Vietnam. Pork Producers Urge ASF Vigilance in Washington D.C.